Government Dental College on Tuesday started at AMCH campus in Dibrugarh. This is the second dental college of Assam after Regional Dental College Guwahati. 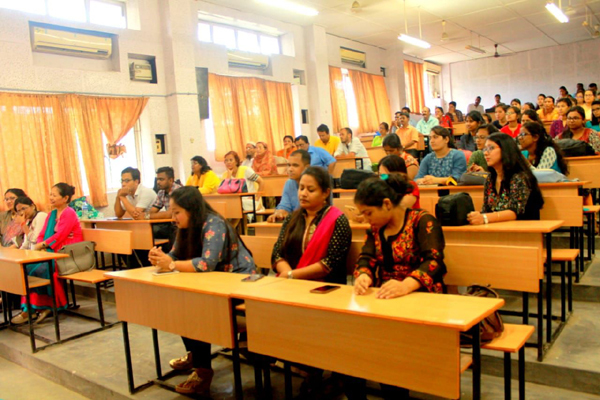 According to an official, classes for now are conducted at Assam Medical College and Hospital and Graham Bazaar Government Dental College building. It will later be shifted to Government Dental College which is to be constructed soon inside Assam Medical College campus. Total number of seats alloted by Dental Council of India is 50 for Bachelor of Dental Science degree. Altogether, 45 students from different parts of Assam have taken admission and attended the orientation programme on Tuesday. Principal Dr Hiranya Kumar Goswami, Vice Principal Dr Rupak Kumar Gogoi, Superintendent Dr Indra Kumar Sutiya, Associate Professor of Department of Anatomy Dr Giriraj Kusre along with the faculty members of Government Dental College were present.